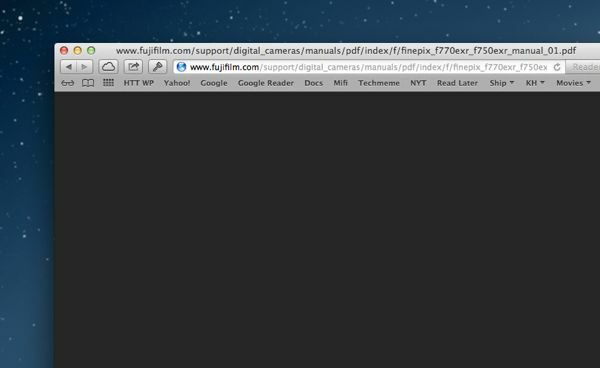 Jill writes: Whenever I try to open a PDF in Safari, I just get a blank screen. Isn’t Safari supposed to be able to open PDFs by itself? I could’ve sworn it used to. Hi Jill! 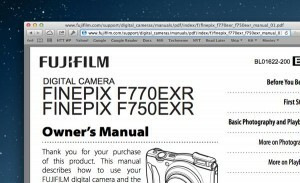 Yes, Safari can and should be able to open PDF files directly in the browser window. Can’t open PDFs in Safari? An old browser plug-in may be to blame. It’s possible, though, that an old browser add-on—or “plug-in,” as they’re called—is getting in the way. I’m guessing that a long time ago, you downloaded an older version of Adobe Reader (the granddaddy of all PDF readers) that went ahead and installed a PDF viewer plug-in for Safari. The PDF plug-in probably worked fine until a couple of years ago, when Apple released a new, PDF-friendly version of Safari (version 5.1, to be precise) that doesn’t play nice with older versions of the Adobe plug-in (specifically, anything older than version 10.1.3). So, what happens if that older version of the Adobe PDF plug-in is still installed on the new Safari? Simple: clicking on PDF links will give you nothing but a blank page. Luckily, there’s an easy remedy: digging into Safari’s plug-in directory and deleting the old plug-in (or plug-ins, depending on how many old versions are still sitting there). 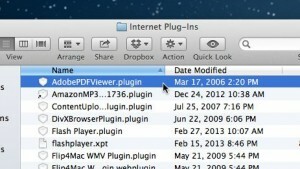 Drag any old Adobe PDF Viewer plug-ins into the Trash, then restart Safari. Note: Make sure to back up your Mac before messing around with any system files. Press and hold COMMAND + TAB to bring up your Mac’s application switcher, then keep tapping the TAB key while still holding down the COMMAND key until the selector lands on Finder. When it does, go ahead and release the COMMAND and TAB keys. A new folder window will appear, showing a list of all the browser plug-ins installed in Safari—and at the very top (if the list is sorted alphabetically), you should see one or more files labeled “AdobePDFViewer.” Drag the old Adobe plug-ins into the Trash, then quit and restart Safari. Try opening a PDF in Safari again—and yes, it should work, using Safari’s own “native” PDF reader. Visit this page to download and install the latest (and free) version of Adobe Reader. Quit and re-launch Safari, then open a PDF file directly in the browser; when you do, the PDF should open using your new Adobe Reader plug-in.